Kick start your day with this invigorating yet soothing cold processed handmade soap. 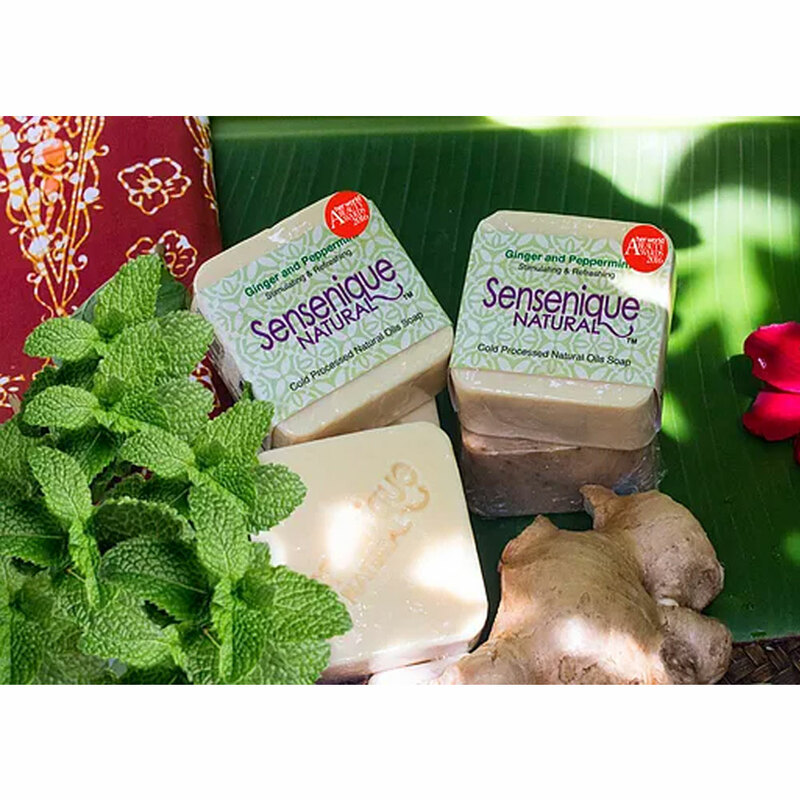 Sensenique Natural Ginger Peppermint handmade soap kindly cleanses, hydrates and moisturizes your skin. It awakens your senses with a refreshing and invigorating aroma. 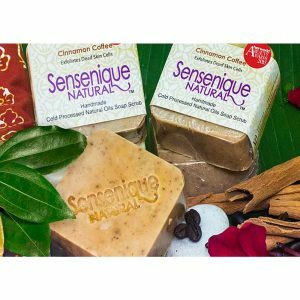 It is made with a traditional cold process method which helps retain and preserve the goodness of natural ingredients used in the soap. Cold process soaps are also rich in glycerin. Glycerin is naturally formed in cold process soapmaking method. It is a humectant and emollient, thus hydrating skin and making skin soft and supple to the touch. 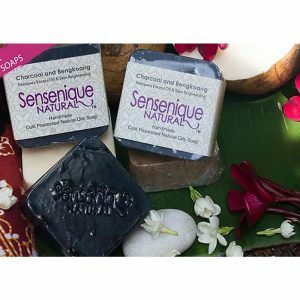 The vegetable oils used in Sensenique Natural handmade soaps are great skin protector due to its calming and moisturising properties. They are rich in vitamins A, B, C, D and E, with excellent antioxidant properties. The ginger and peppermint pure essential oils provide the soap with natural fragrances. These essential oils are known to help warm the body and remove “wind” from the body. Consistent usage of this soap ensures smoother, softer and healthier skin. Suitable for normal, dry and slightly oily, face and body skin. Also suitable for sensitive and problem skin. Cocos nucifera (coconut) oil,Elaesis Guineensis(palm) oil, Olea europaea (olive) oil, Helianthus annuus (sunflower) oil, Deionised(Aqua), *Sodium Hydroxide, Zingiber officinale (ginger) root oil, Zingiber officinale (ginger) root powder, Mentha piperita (peppermint) *No more traces or residue after saponifying into soap and glycerin. Soap colour may differ from each batch due to properties of natural ingredients.